One of the most famous Disney princesses Cinderella is the best wedding fashion blogger in Fairyland! Today you get a chance to meet her in person in this new free online fashion game for girls Cinderella Wedding Fashion Blogger! Blogging is not as easy as it seems, so the princess might need your help. 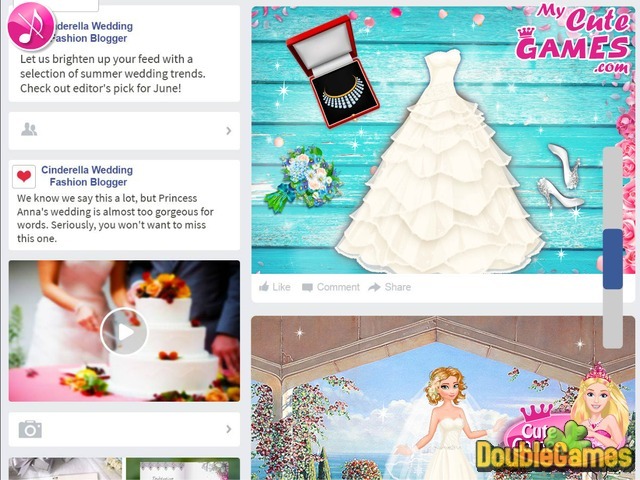 Can you help her make and post some new wedding trends for this summer on her Facebook page? Create the best looks and take the best pictures for Cinderella. Good luck! 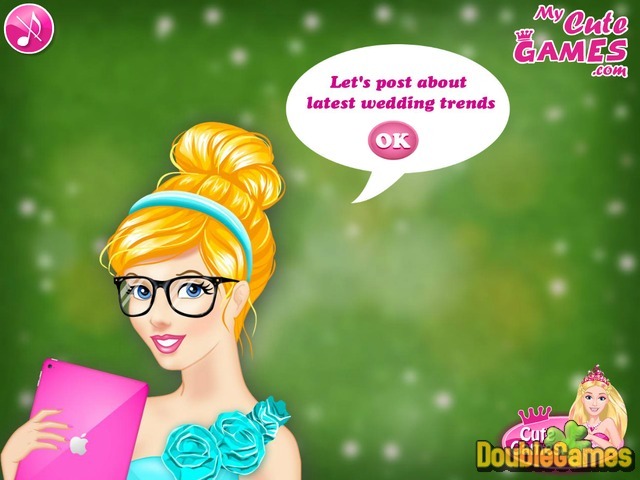 Title - Cinderella Wedding Fashion Blogger Online Game Description - Greet Cinderella Wedding Fashion Blogger, a Time Management game created by My Cute Games. Take some cute wedding photos and help Cinderella post them on her Facebook page.